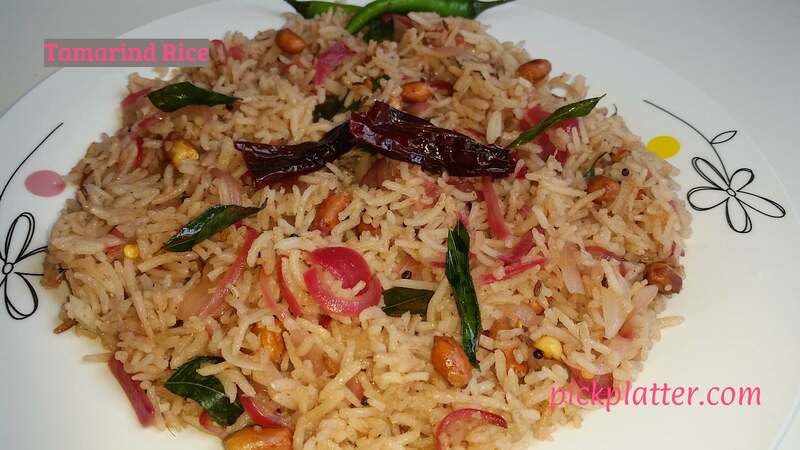 Tamarind Rice – Super quick and simple tamarind rice. Tangy and Yummy rice recipe. Add dry Red Chilies, Mustard and Cumin seeds. Add onion. Saute till onion turns golden. Add Tamarind paste mixed with water. Let it come to boil and mixture thickens a bit. Add cooked rice. Mix well. Add fried Peanuts and mix. Yummy and Tangy Tamarind rice is ready.